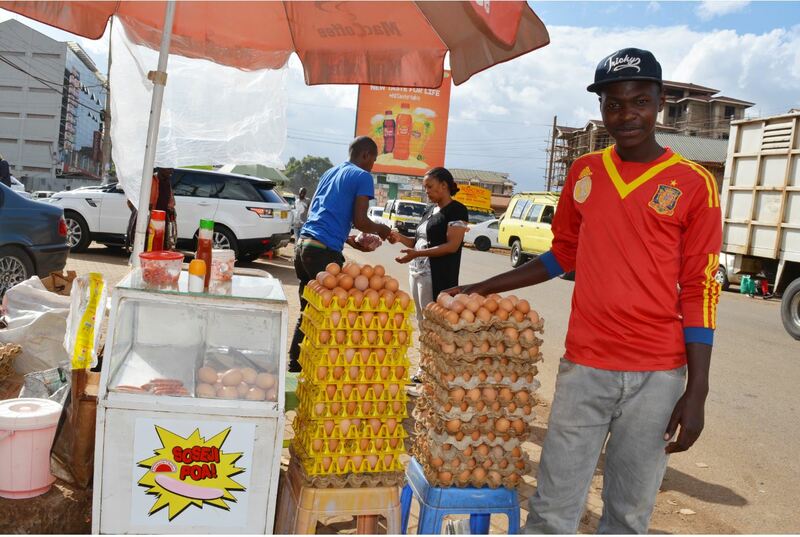 Kenneth Kugunda 24, is an industrious egg merchant who sells 20 to 30 trays every day. In a country with high unemployment, this self-initiative is admirable. Just a year and a half ago Kenneth was in the grips of a harrowing addiction to heroin. A school drop out by the age of 13, Kenneth turned to touting at the local bus stop, a common gateway into the world of drug use and abuse. He started out on bhang (marijuana) and alcohol and soon graduated to heroin. ‘At first, the heroin was recreational but inevitably, I started missing my shifts at work and soon enough no driver wanted to work with me,’ lamented Kenneth. The dysfunction seeped into Kenneth’s family life as well, he began to spend his days and nights at the drug dens and only snuck back home intermittently to pilfer valuables. ‘Heroin use is a bottomless pit of new lows. I met a girl who was also in that life, she came from a rich family so we never lacked heroin and when my tolerance for the drug grew I began to inject,’ said Kenneth. He was living in a dirty culvert getting high every day when a friend and LVCT Health peer educator introduced him to the LVCT Health led Daraja program funded by PEPFAR CDC, which targets key populations including people who inject drugs (PWIDs) with HIV prevention services. After much counseling from friends, he finally agreed to rehabilitation in October 2018. Methadone use involves a daily commute to the methadone dispensing center and full adherence for it to be effective. The ability to cater for transport to and from the clinic can be the difference between adherence and relapse. Moral support as well is required for one to beat the disease therefore when he was ready for the methadone treatment an LVCT Health counselor reunited Kenneth with his parents. ‘My mother bought me a phone and my father sent me bus fare daily. I was encouraged by their faith in me and I began to save money in order to start a hustle, says Kenneth. After two weeks on methadone, Kenneth threw away his stash of needles. His incessant craving for heroin that had debilitated his teenage years became non-existent. With his newfound sobriety, Kenneth embarked on the sale of eggs. With his newfound sobriety, Kenneth identified the sale of eggs as a profitable venture. From nearby farms, he knew he could buy a tray of eggs at Kshs200 and sell at Kshs400-Kshs700. From his saving of Kshs1500 Kenneth strategically set up shop a few metres from a busy supermarket. His steady stream of customers has seen him grow into an independent and responsible member of society. Apart from selling raw eggs, Kennedy added boiled eggs to his product line. Boiled eggs sliced into two and filled with pieces of fresh tomatoes, onions, & chilies; is a favourite snack for Kenyans on the go. Thanks to the efforts of LVCT Health’s program for people who inject drugs, Kenneth has been able to get his priorities right. He is able to take care of his child that he fathered while he was 17 years old. He has managed to build a semi-permanent three bedroom home on his grandmother’s land and the future is looking bright.